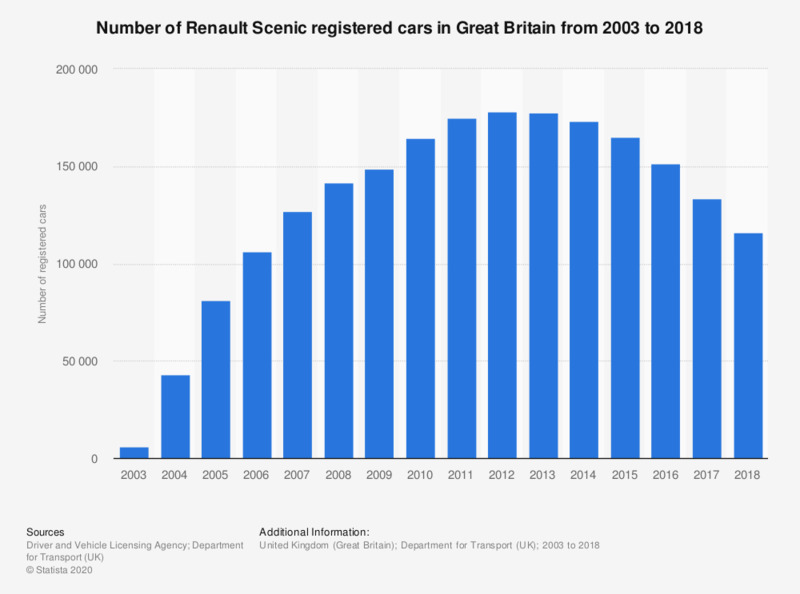 This statistic shows the number of Renault Scenic cars registered in Great Britain between 2003 and 2018. The figures represent a running cumulative total. The Renault Scenic was one of the most popular car models in Britain by 2016. The number of registered cars grew from 6.3 thousand in 2003 to 178.3 thousand by 2012. It has, however, been decreasing since, reaching 120.2 thousand units by 2018. Figures are cumulative and indicate the total number of registered cars on the road in Great Britain. * As of the third quarter of 2018.